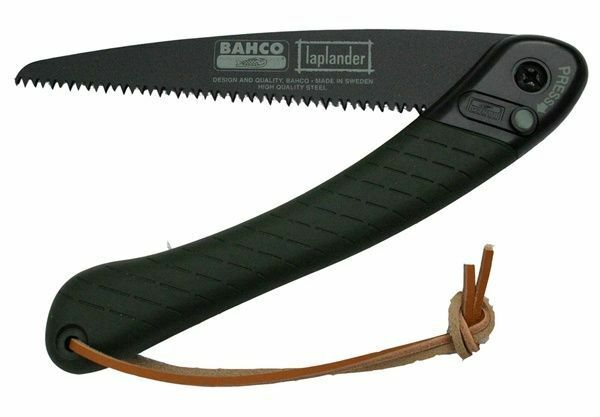 Made by Bahco, this invaluable, general-purpose saw is only 9 inches (23 cm) long when folded and has been developed for the true outdoorsman, making it a perfect saw for Bushcraft use. It is reliable, compact, light, and quick and easy to use. The blade is made of heavy gauge steel which gives stability, the teeth are hardened for extra durability and its anti-rust coating also reduces friction, making sawing easier. 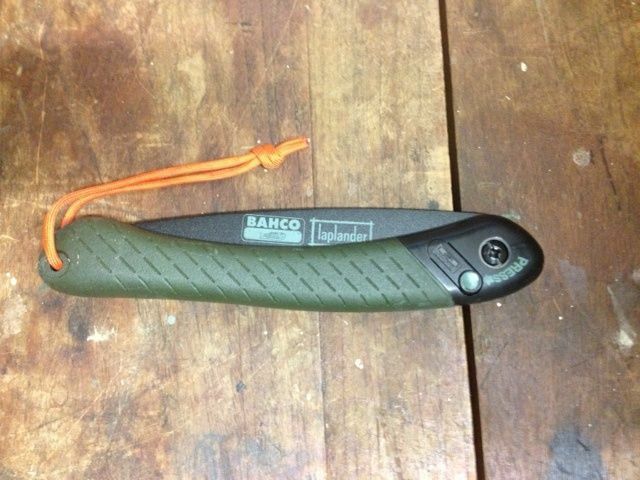 The blade folds and locks inside the handle, making it easy and safe to carry either in a rucksack. The saw weighs just 6 ounces (175g).